Aiding in weight loss and digestion Kombucha works by adjusting the pH of the intestine’s (large and small) to a slightly more acidic level . The bacteria causing acid reflux indigestion and gas also known as putrefactive tends to be inhibited or destroyed with the introduction of Kombucha to your diet. Kombucha is not a cure-all or a magical drink, It helps with digestion and energy… just another fermented culture to add to your diet in moderation along with other fermented foods. Especially beneficial to weight loss and digestion with vibrant health . 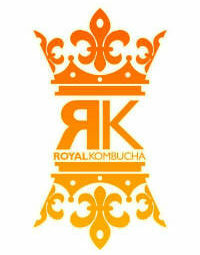 As a probiotic, Kombucha aids in the breakdown and digestion of food, preventing acid reflux and relieving constipation. Beneficial bacteria and yeast present in kombucha tea reduce bad bacteria and parasites in the intestines which are strongly present in those with a heavy unbalanced diet. Kombucha contains probiotics, yeasts and bacteria (the good kind) that remove toxins from the body. As your digestion improves and your body balances its pH level, As well as having more energy Your body will cease cravings for junk food. More energy means more exercise. More exercise equals weight loss and physical health. Cellulose makes its way into the tea. 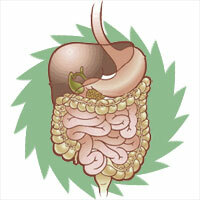 Cellulose is an insoluble fiber that improves digestive function and helps prevent constipation. Protein’s include leucine, lysine, methionine, phenylalanine, threonine, and valine. Which are not made in the body and are only derived from food sources. Leucine helps repair mussels, regulates blood sugar levels, provides energy to the body, and increases production of growth hormones. Lysine has antiviral properties preventing viral outbreaks, helps the production of antibodies for a healthy immune system, helps strengthen bones, and is needed for hormone production. Methionine promotes cardiovascular health, builds strong healthy tissue, and eliminates toxins in the body. Phenylalanine is effective in treating brain disorders due to its ability to penetrate the blood -brain barrier, it is needed for normal functioning of the central nervous system and has been used to treat conditions that effect the central nervous system, and has been used to treat chronic pain as well as depression. Threonine maintains proper protein balance, supports cardiovascular system,central nervous system, immune system, and liver functions. Valine manages blood sugar levels, provides energy, and helps to repair tissue. Kombucha contains Yeast as well as a number of minerals, including: iron, chromium, sulfur, potassium, and phosphorus. Vitamin C or ascorbic acid is also produced by the bacteria in kombucha, vitamin C is a natural antioxidant and immune booster. Lecithin helps break down fats in the body and also protects the myelin sheath which surround nerves. Making Kombucha tea a natural elixir in the efforts of Weight Loss and Digestion Aid. Add Kombucha to your diet and benefit from its amazing powers. Kombucha is a detoxifier and must be treated with respect. It is very possible to over detoxify your body, so take a break every few days. This is not like store bought Kombucha which has a ton of sugar and is pasteurized. This is the real deal. We recommend starting off with a small dose 2-4 liquid ounces 2-3 times a day and working your way up, allowing your body to adjust. Healthy living starts with a well balanced diet.